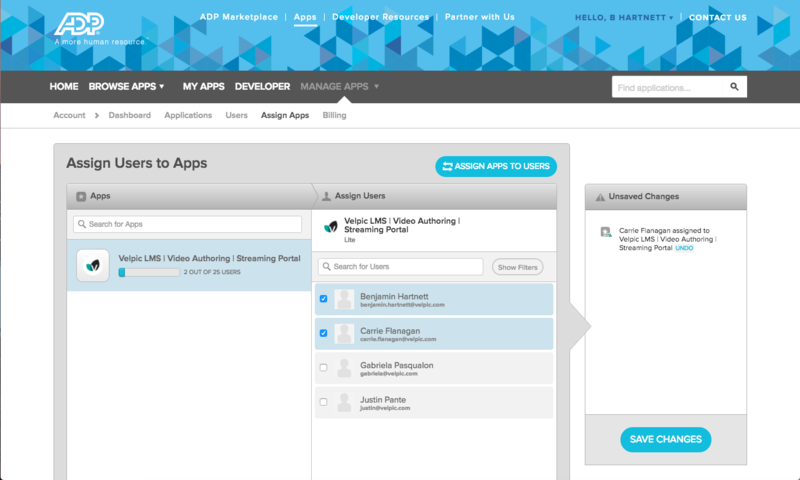 This document details the steps required to add your ADP Marketplace users into your integrated Velpic account. 1. 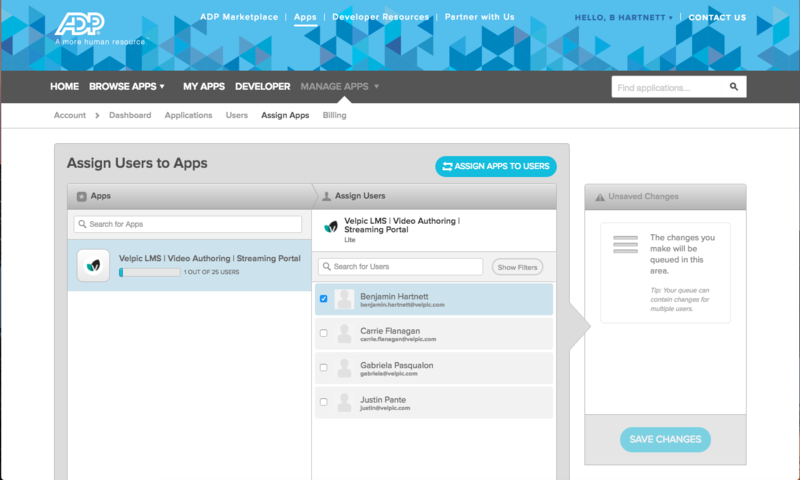 After signing up for Velpic through the ADP Marketplace, click on the 'My Apps' tab and then click on the Velpic app. This should sign you into your integrated Velpic account. 2. 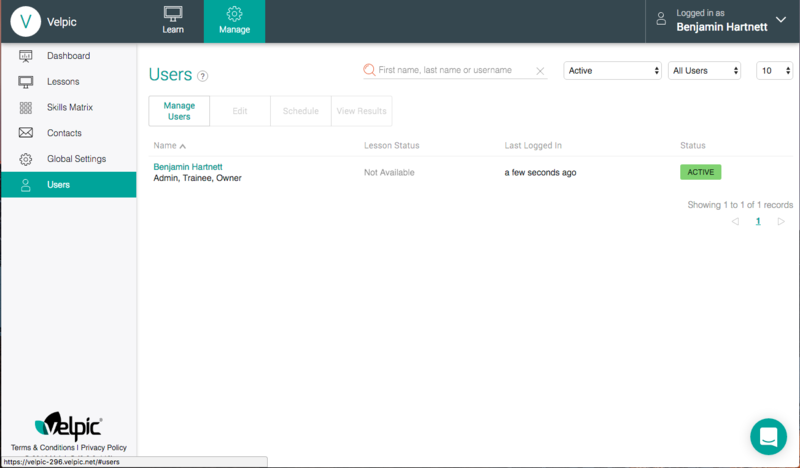 Once logged in, click on the 'Manage' button at the top menu and then on the 'Users' tab on the left menu. You should see the list of users currently in your Velpic account. 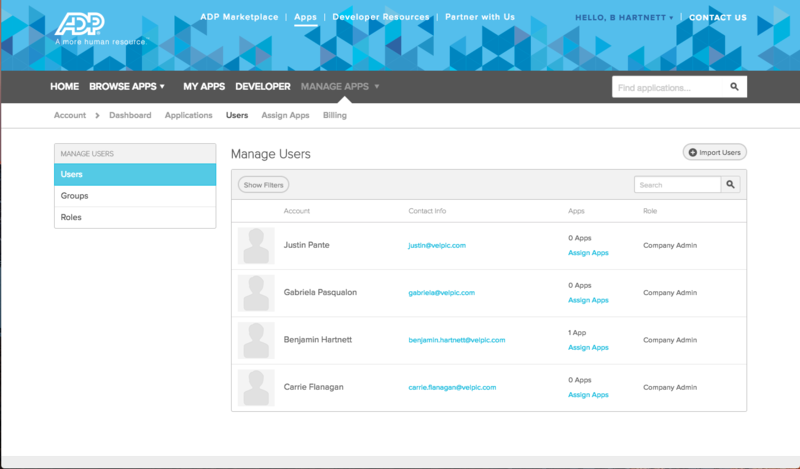 To add users from your ADP account into Velpic, click on the Manage Users button. 3. 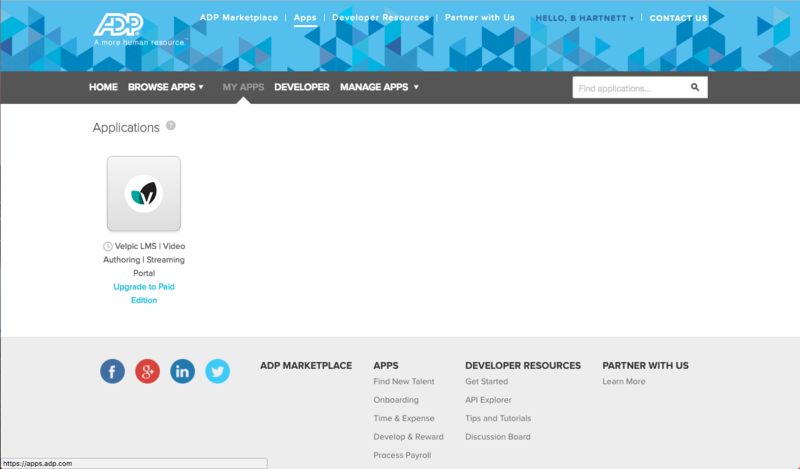 You should be redirected to your ADP Marketplace manage users page, where you can see the list of your existing ADP users. 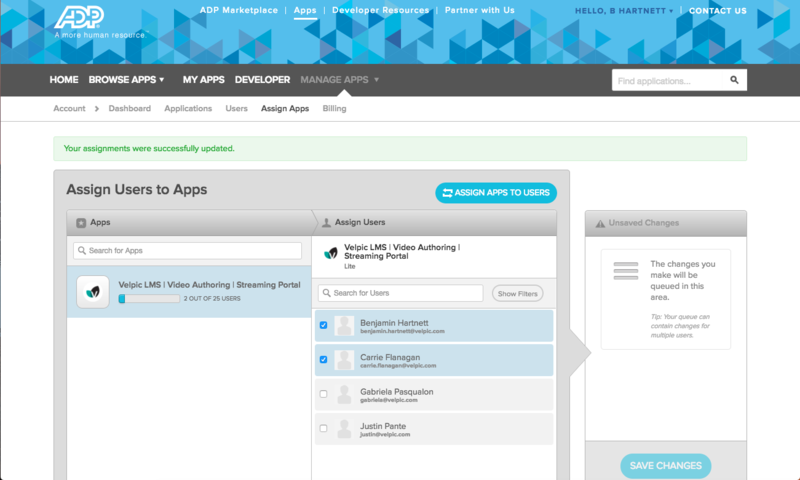 Now click on the 'Assign Apps' tab. 4. 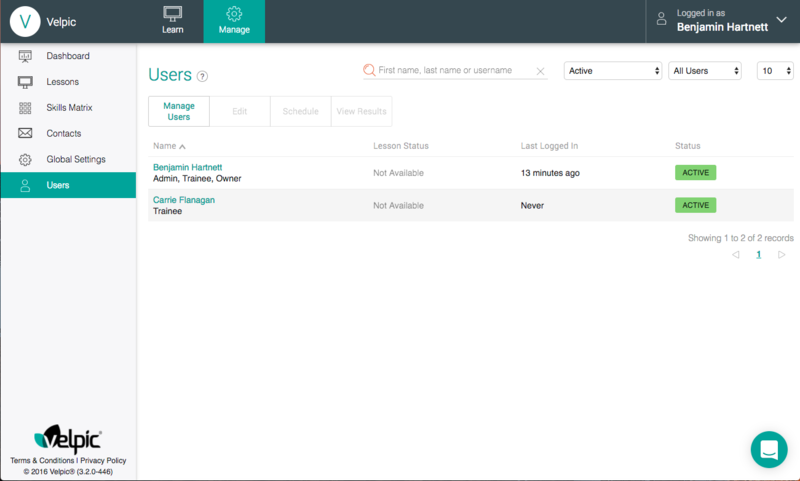 Now click on the Velpic app in the left list, then select the ADP users which you would like to import into Velpic by selecting from the list in the center of the page. 5. In this case, I have selected the user 'Carrie Flanagan' who did not previously exist in Velpic. See the screenshot from step 2. Now click 'Save Changes'. 6. After clicking 'Save Changes' you should see the message, 'Your assignments were successfully updated'. 7. Now go back to the users page in your Velpic account and you should see your users are now imported into Velpic. In this case, the user 'Carrie Flanagan' was successfully imported.